Songkran – Thai New Year – every day's a holiday! Songkran is believed to have originated with the Dtai people (now in northern Thailand, Vietnam and Laos) as a fertility festival. Like the Hindi festival Sankranti, the word Songkran derives from the Sanskrit “Sankranti” comes from to the sun’s transition from one zodiac sign to another, in this case Pisces into Aries, and from the Pali word (of Theraveda Buddhist texts) “Sankhara“. But the most notable traditions of the festival are those involving water. Songkran season is the hottest time in Thailand. Originally the ritual of lightly sprinkling one’s elders with water was a sign of respect during the last days of the festival. Nowadays however, water activities have taken over every day of the festival, and in places like Chiang Mai, Thais celebrate by waging water battles on a scale unseen in the Northern Hemisphere. The festival lasts several days, the first day being April 13, or Wan Songkran Lohng. This is the last day of the year, during which people clean their homes in preparation for the holiday. Towns hold large parades involving images of the Buddha, which are sometimes bathed with special water. 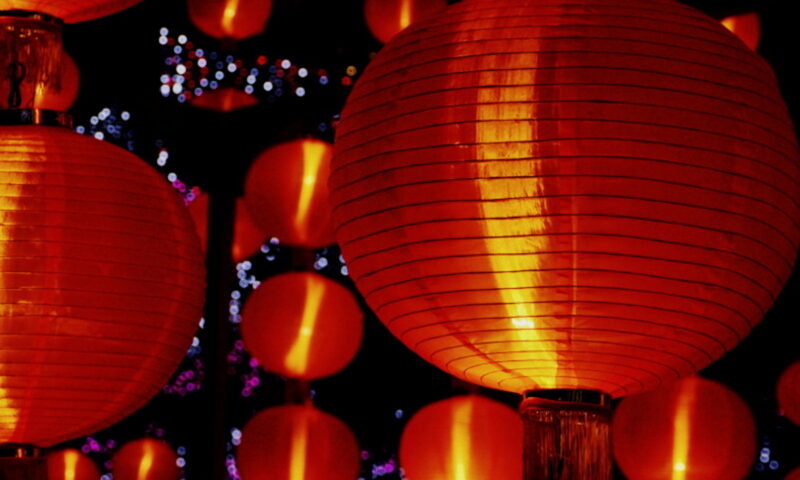 The second day, Wan Nao, is the day between the old and new year. People prepare the traditional food to be used in the following day’s ceremonies. Day three, Wan Payawan, is the officially the first day of the new year, when celebrants offer the previously prepared food to the monks. On day four, Wan Paak Bpee, celebrants pay respect to their ancestors and elders, as well as important members of the community. In a ceremony known as rod naam daam hua, participants pour special scented water over the hands of their elders, who then bestow a blessing on them. The water tradition may come from the ancient belief that rain was created by mythical serpents known as Nagas who spouted water from the sea. 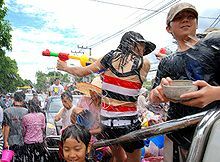 Regardless of its origin, the water fights are now a ubiquitous sign of Songkran and an annual symbol of rebirth for the whole community.